If you decide to visit the Land of the Sun for a summer vacation don’t leave fido behind! We all know our fur babies miss us we’re away. Arizona may be one of the most pet friendly places in the U.S, which makes it far easier to travel with your dogs. Many hotels, short term rentals, and store owners welcome your furry friend. If you are worried about finding places to take your dog while you’re visiting no worries, we’ve got you covered. I’m almost positive the first thing that comes to mind when you think Arizona is, the Grand Canyon, mother nature’s most stunning sculpture. Everyone should get to experience this beauty at least once in their lives. 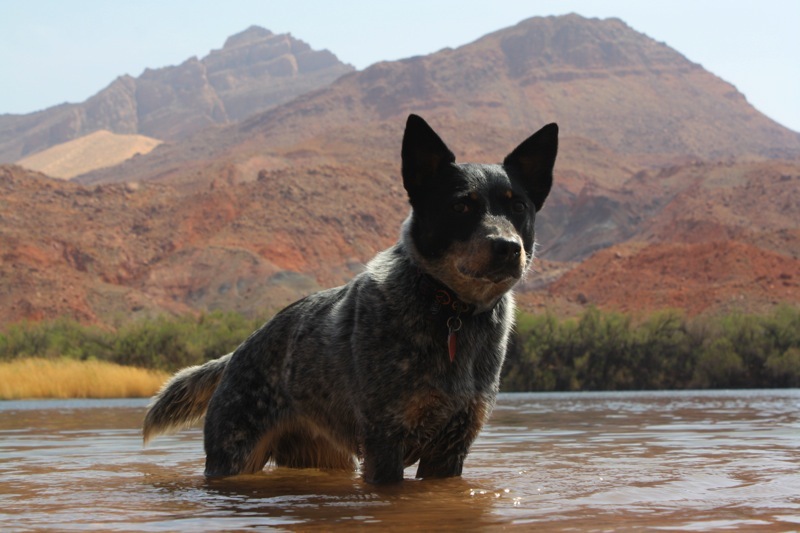 However, most people know that dogs are not usually permitted in National Parks; what’s great about the Grand Canyon is your dogs are more than welcome on the South Rim. You will have to keep them on a leash and make sure they are well behaved, but this is a great place to spend vacation with your pet. There are also two pet-friendly hotel nearby so you don’t have to worry about accommodation. It’s best to book these well in advance! The Grand Canyon kennel on the South Rim, allows you to explore the places that your dog is not permitted. You can travel south of the canyon to the beautiful city of Flagstaff, AZ. This city is known for its shops, restaurants, and breweries, most of which are dog friendly. Flagstaff is also surrounded by the Coconino National Forest, which is a great place to explore with your pet! It also smells like vanilla, which is pretty neat. Dogs are allowed in most of the forest as long as they are on a leash! In addition, Flagstaff has an extensive trail system of over 50 miles in and around town known as the Flagstaff Urban Trail System. So, no matter what there are endless ways to enjoy your summer vacation without stressing about your furry friend. Oh, and if you find yourself outdoors at night the stars are absolutely gorgeous, don’t forget to look up! Phoenix is a beautiful and dynamic city full of culture, art, music, and plenty of places to chow down. And by the way, your dog is welcome to join! You can be sure to love the experience this city has to offer. Surrounded by a stunning desert backdrop, you can go from listening to live music with your pup to perusing beautiful street art done by the locals. O.H.S.O., a nano-brewery, and dog-friendly social hotspot, is a local favorite. You can kick back with your dog, who gets a free homemade treat and water on tap, while you enjoy a craft beer and the company of other four-legged friends. If baseball is your thing, the Arizona Diamondbacks hold an annual Bark at the Park Day. Ticket packages include a semi-private space with all of the necessities. You have access to all you can eat hot dogs, soda, water, popcorn, peanuts, and chips. As part of the ticket package, you also get a complimentary bag from PetSmart filled with goodies for your furry friend. And, if that isn’t enough, there is an air-conditioned dog park behind the petsmart patio at the field. This sounds like a win-win! You and your furry friend can explore the red rocks of Sedona, one of Arizona’s most scenic areas, together. Whether it be taking the Sedona Red Rocks Adventure Tour or boarding a “magic” trolley to Boynton Canyon. The Sedona Red Rocks Adventure Tour is a dog-friendly tour, personalized to meet the dynamics of your group. They may even bring along Summit, the companies guide dog. If you want a little more freedom, rent a jeep from Barlow Adventures, and go on your own self-guided jeep tour. Your pup is more than welcome to join! After the tour, you can enjoy dinner at any one of Sedona’s pet-friendly restaurants. If you want a little more freedom, rent a jeep from Barlow Adventures, and go on your own self-guided jeep tour. Your pup is more than welcome to join! Tucson has so many places where your pup can come along for the adventure. If you want to spend a day surrounded by beauty and nature, take your pup to the Tucson Botanical Gardens for a quick walk and some quality time. One of the coolest dog-friendly places in Tucson would have to the be the Pima Air and Space Museum. You and your pup can walk around one of the largest aerospace museums in the world. They have a very friendly staff willing to watch your pet for parts of the tour where they aren’t permitted. So, this is a fun activity for both you and your pet. Vacation can be a little stressful for your pet, but it doesn’t have to be. Take your pup to Miko’s Corner playground to give them some time off leash to explore and socialize! The “doggy playground” offers 2 acres of fenced in land for your dogs roaming pleasure. There’s even a doggy fountain! Anyways, you won’t have any trouble finding places to enjoy vacation with your in Tucson.